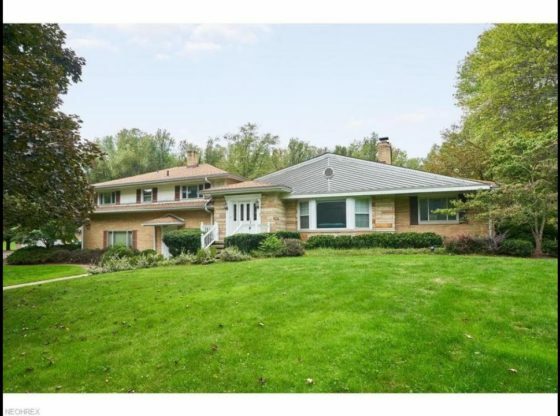 Gorgeous split level home on private beautiful 1.5 acres surrounded by mature wooded trees and pond views. The Spacious living room welcomes guests with space for entertaining and gathering by the warm fireplace with large windows providing abundant natural lighting. Open floor plan provides easy access to the Dining Room and Kitchen. The Chef’s kitchen boasts warm custom wood cabinets, New Granite countertops and statinless steel appliances. The Family room provides a large casual setting for entertaining and has an a additional fireplace and wet bar. Relax in the Gorgeous Sun Room with amazing outdoor views! Beautiful Bonus Room off of the kitchen can be used as an office/den or extra bedroom. Two large size bedrooms upstairs share a newly remodeled bathroom and the Grand Master Bedroom boasts a spacious ensuite. In addition to the 2 car garage is an immaculate heated detached 3 car garage or workshop for your hobbies. For more information about this property, please contact Shana Kim at 3306187848 or [email protected] You can also text 5285501 to 67299.